Labour must win key counties outside London in May’s local elections if it is to build a platform for general election victory, a shadow cabinet minister has said. 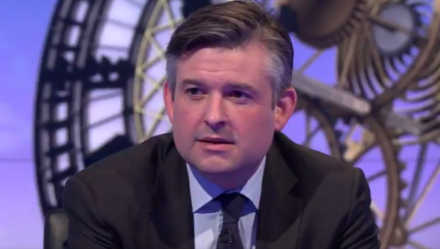 Jon Ashworth said forecasts of a 12 point swing from Labour to the Conservatives are “pretty depressing” and laid out areas in which Jeremy Corbyn’s party must make up ground and take support from rival parties. Corbyn is expected to launch Labour’s local elections campaign tomorrow. “We’ve got to be winning in Nottinghamshire, Derbyshire, Staffordshire, Lancashire, those types of places because they contain a lot of the marginal constituencies that decide general elections,” Ashworth told the Sunday Politics host Andrew Neil. Ashworth, shadow health secretary, described Labour’s current poor polling position as “challenging”, saying that the party needs to do more to reach out to current Conservative voters. “We have to be winning seats. We cannot be falling back on the scales that have just been suggested,” he added. “One of the criticisms that I have of some of the debate and the discourse that goes on in the wider Labour Party – please don’t misunderstand me, I’m not making a pointed criticism about any individual – but some of the debate you see online, on twitter and so on suggests that if we want to get people who voted Conservative to switch to Labour that is somehow a betrayal of our principles. It’s absolutely not,” Ashworth said.